From Monday 6 March 2017 until Thursday 31 December 2020: Enjoy 5.6 % off! 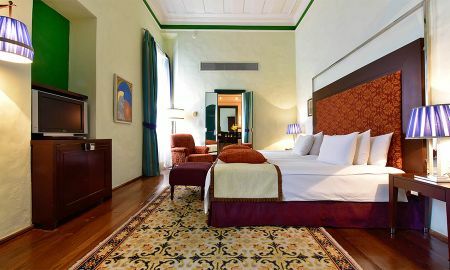 Step back in time at Pestana Convento do Carmo, Brazil’s first historical luxury hotel, set in a former convent in the center of São Salvador da Bahia. Unwind in the tranquil silence of the rooms and cloisters, featuring a traditional design with large tapestries, chaise lounges, oil paintings, armoires and antique sofas - all while boasting upscale modern amenities. The Conventual Restaurant and All Saints Bar feature tantalizing menus bursting with delectable Portuguese and Bahian flavors, while the hotel’s top-quality facilities include a pool, jacuzzi, Turkish bath and gym. 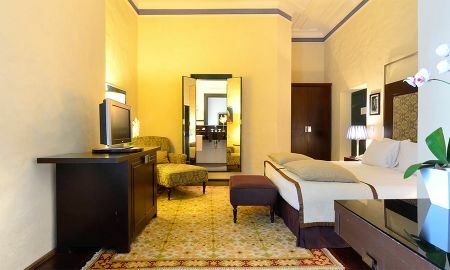 The Pestana Convento do Carmo is located in the Santo Antonio neighborhood Alem do Carmo in Pelourinho, the famous historic center of São Salvador da Bahia, a UNESCO World Heritage Site. Breakfast served in the room has an additional cost. Please note that in accordance with Brazilian legislation (ECA, Article 250), children under 18 years old are prohibited from reserving or occupying hotel rooms without parental consent or presence. At check in, children without parental presence must present an authorization signed by both parents and original identification documents; for children accompanied by parents, original identification documents are required. Please note that for non-refundable rates, it is mandatory that the credit card charged during the reservation is shown upon check-in. In case it's not possible, the total amount of the reservation will be charged again on a new credit card or alternative form of payment. In this case, the amount charged previously in the credit card provided during the reservation will be reimbursed. Third-party credit cards are only accepted if guests contact the hotel previously requesting for a pre-authorization. No deposit will be charged. 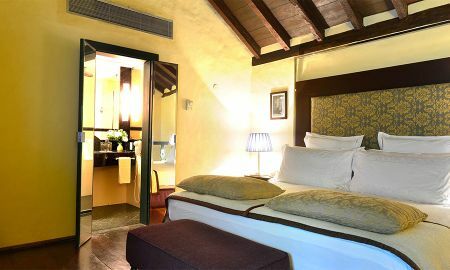 An optional tourism fee of 4,5 BRL is applied per room per day.